While the world celebrates the signs of flowing water on Mars, researchers estimate that the Martian pebbles travelled roughly 50 km from their source, supporting the idea that Mars once had an extensive river system and conditions that could harbour life. Douglas Jerolmack, geophysicist at University of Pennsylvania, and his collaborator Gabor Domokos have devised the first-ever method to quantitatively estimate the transport distance of river pebbles from their shape alone. “Thousands of years ago, Aristotle pondered the question of pebbles on the beach and how they become rounded,” Jerolmack said. “But until recently, descriptions of pebble shape have been qualitative, and we lacked a basic understanding of the rounding process,” he added. With lab and field data in hand, the team turned to the extraterrestrial. Using publicly available images of rounded pebbles on Mars from the Curiosity rover mission, they traced their contours and performed an analysis based on the models the team had established. The results suggested that the pebbles had lost approximately 20 percent of their volume. 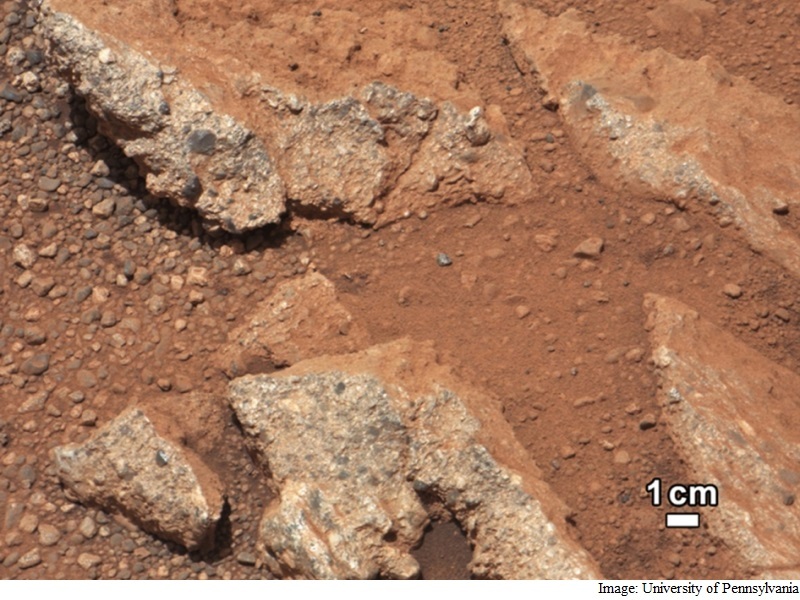 Applying further calculations to the basalt material found on Mars, they arrived at the calculation that the pebbles had travelled an estimated 50 km from their source. The study is not only exciting for what it implies about Mars but for opening up a new realm of possibility to quantify what before could only be described qualitatively. Determining how far pebbles have travelled could also be useful for studies on Earth in identifying sources of river-transported resources such as gold. “Now we have a new tool we can use to help reconstruct ancient environments on Earth, Mars and other planetary bodies where rivers are found such as Titan,” Jerolmack noted.